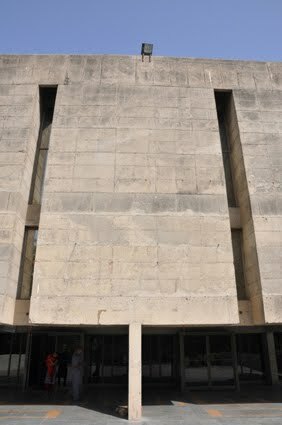 I had seen the outside of the Tagore Memorial Hall during my first few days in Ahmedabad and had been meaning to return for a more detailed look. 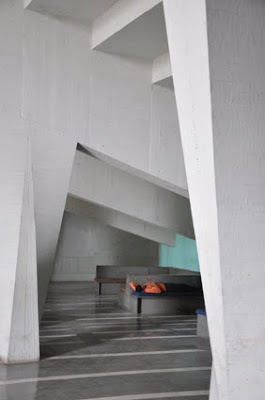 The building is quiet amazing, the hall is situated on the bank of the Subarmati River in the City of Ahmedabad, very close to the National Institute of Design and the Ahmedabad City Museum. 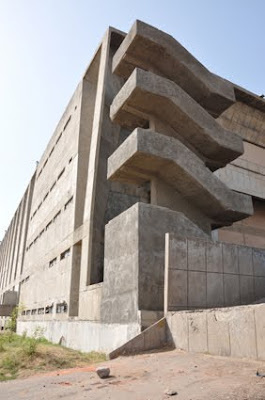 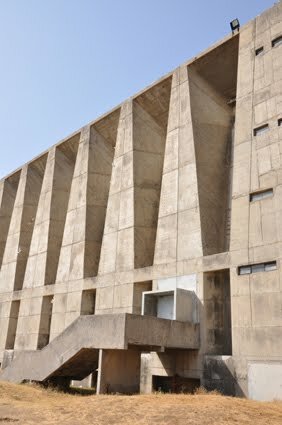 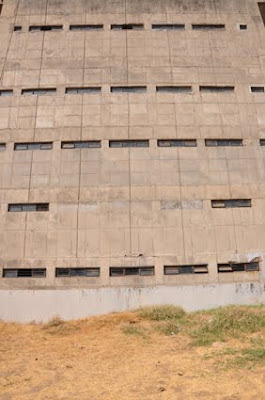 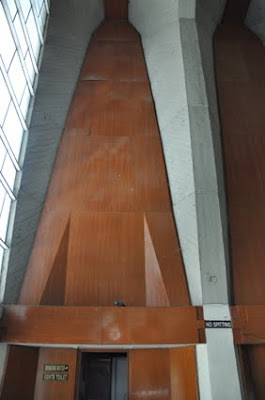 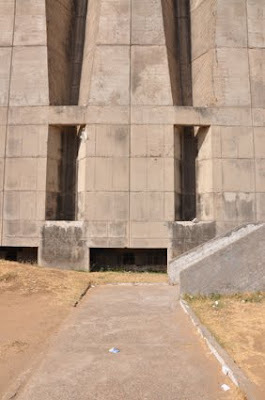 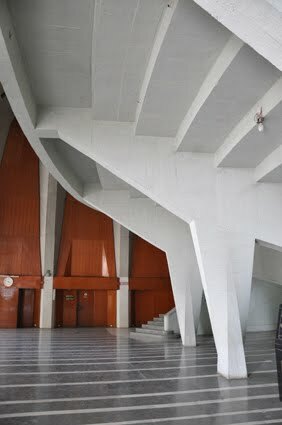 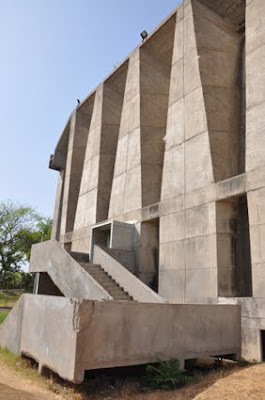 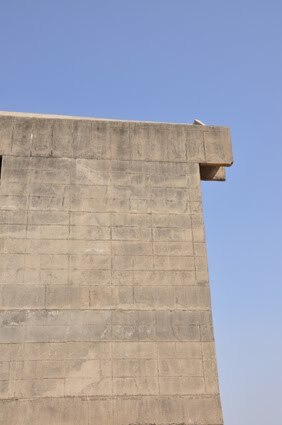 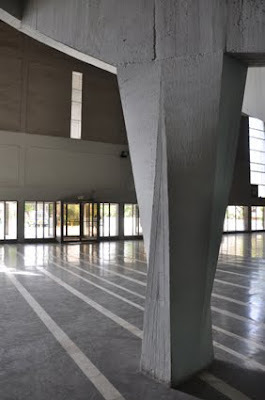 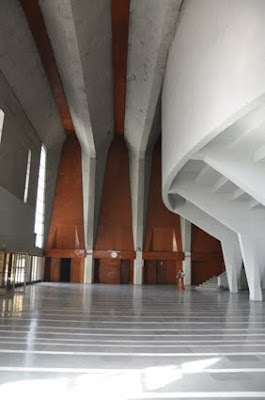 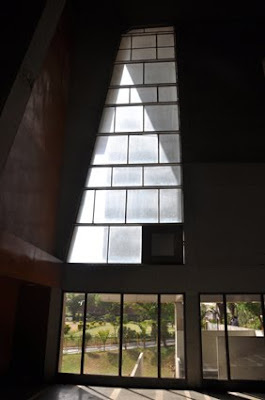 As a theatre it seats 750 and was built in 1971 from cast concrete, the structure is a series of reinforced concrete frames.The building was designed by the architect Balkrishna Doshi. 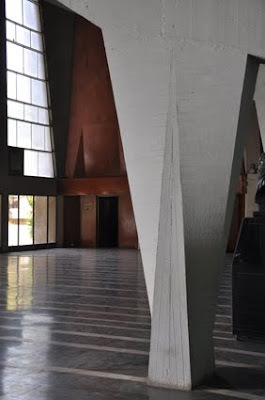 The hall is named in memory of Rabindranath Tagore a famous Bengali poet, novelist, musician, painter and playwright, who helped shape both Indian and Bengali culture. 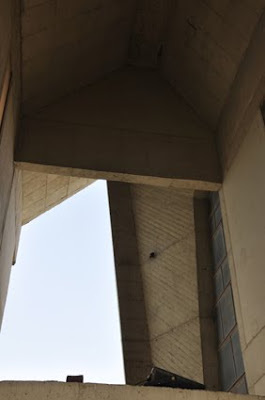 He was a vocal critic of the British Raj, a supporter of Independence and had penned both the Indian and Bangladesh national anthems. 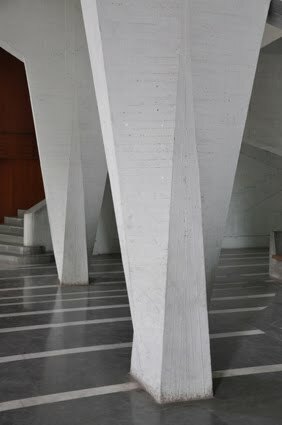 I like the way the interior structure carries through the 'skin' and out to the exterior of the building. The transition of the forms in the columns was very beautiful, as was the scale and light. Like Khans Institute of management building and the architecture of the old city everywhere there were views with multiple layered frames. 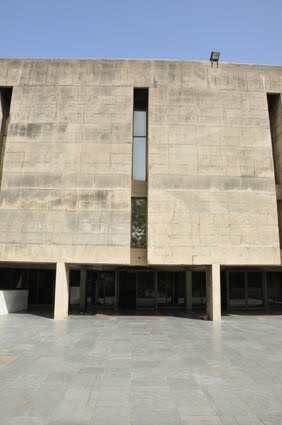 NID & The Centre for Environment Education.